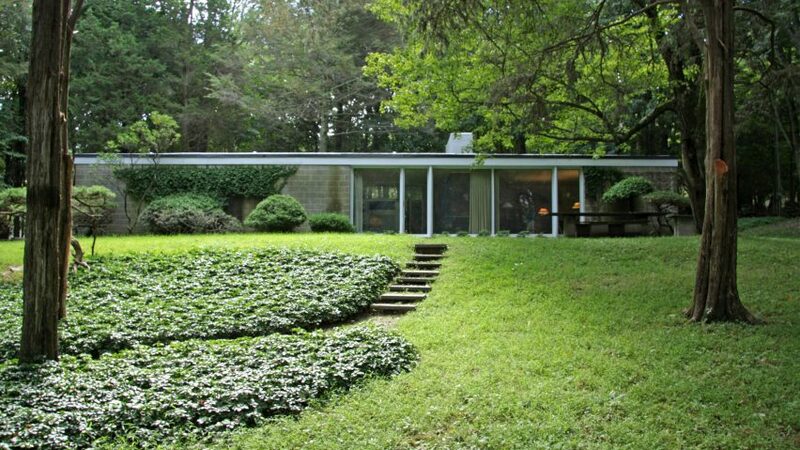 The first house designed by American architect Philip Johnson has been put up for sale by its owners, after 55 years living in the Upstate New York residence. 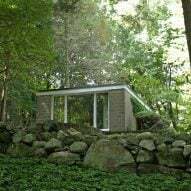 On the market for $1 million (£775,000), the Booth House was built in 1946 in Bedford, New York – close to the modernist haven of New Canaan, Connecticut, where Johnson later built the iconic Glass House for himself. 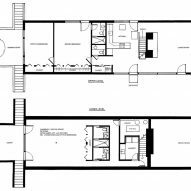 The home is considered a precursor to the Glass House, sharing many of the same modernist principles: open floor plans, seamless circulation, abundant natural light, and a strong connection to nature. 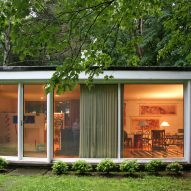 For his first residential commission, Johnson designed the Booth House for young couple Richard and Olga Booth, who wanted a weekend getaway in reach of Manhattan. It was sold in 1955 to the Damora family, who lived in the property for over five decades and first put it up for sale in 2010 for $2 million (£1.55 million), but failed to find a buyer. The building is set into the crest of a hill, and reached by a long gravel driveway thats leads up the sloped site and gradually reveals the structure. The simple cuboid is made of concrete walls spanning gaps between steel pillars. Glazing across the structure keeps the exterior light. Inside, a large brick fireplace sits just west of the building's centre. 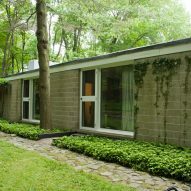 The solid element contrasts with the transparency of the large windows – a feature Johnson would later employ at the Glass House. The hearth also serves as a partition, separating the west lounge from the kitchen and atrium. A staircase concealed to the north of the fireplace leads down to a flexible space on the floor below. The basement room spreads towards a large window at the east facade. Two doors flanking the glass on either side lead out onto a sunken courtyard. On the upper storey, a study at the east east end of the plan perches over the stone-encircled terrace. The style of Johnson's first project carried through to many of his later works, which still bear influence today. 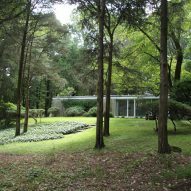 "You get an idea early on in your work and it persists... it carried right through from the Booth House," the late architect was quoted. Johnson – who died in 2005 aged 99 – is one of the best-known 20th century American architects, and was the recipient of the first Pritzker Prize. His works include the AT&T (now Sony) tower in Manhattan, and the 1964-65 World's Fair pavilion for New York state in Queens – the subject of a recent speculative revitalisation competition. The Glass House – perhaps his most famous project – now serves as a visitor attraction, and hosts an arts programme that has included installations by artists Yayoi Kusama and Fujiko Nakaya. Johnson featured on the first Dezeen Hot List, a guide to the most newsworthy and searched-for players in the design world. Photography by Robert Gregson is provided courtesy of the Damora family.